We have already introduced in China our Excellence range with great success; it’s a new generation of stations with more functions, customizable parameters and integrated communications with PCs and robots. 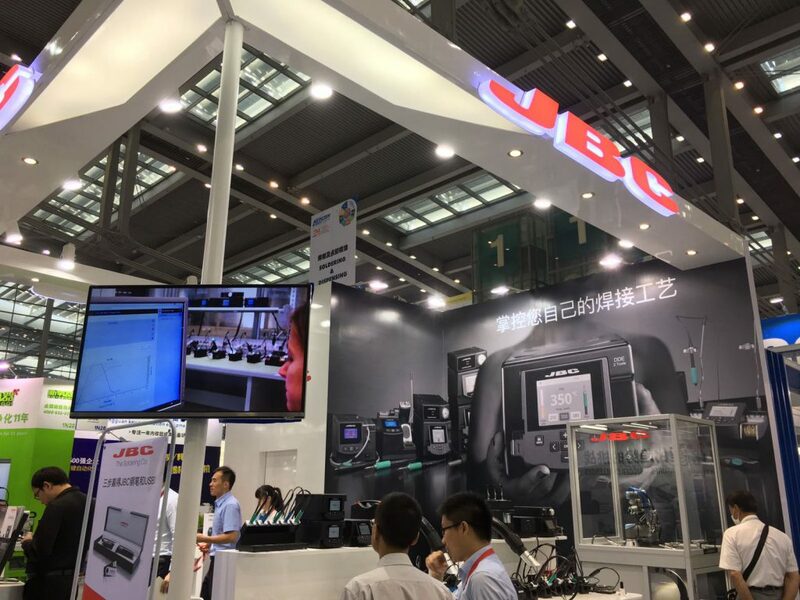 Now, JBC is a pioneer in approaching the Industry 4.0 in the electronics assembly industry. 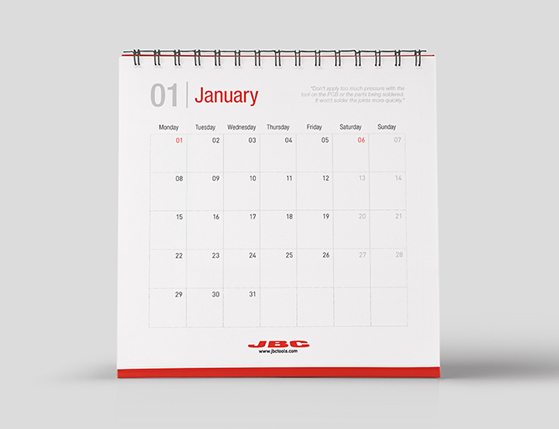 We have developed the JBC Net, the first smart system to optimize traceability in soldering. This innovative system allows medium and big companies total control over the soldering process via Internet. They can configure all stations at the same time and apply a specific configuration to each product line, no matter where the factory is located. For example, from Shenzhen, you can control your factories in Guandong or Sichuan. It is also an added value to get complete traceability reports that optimize the production process. We are aware that the future is digital and automated. Demand for automation equipment is also growing in developing markets. China may be the largest importer of industrial automation products in the world. Industrial Robots are commonly used so we are adapting our tools to this new reality. Our R+D department have been working along this year to develop new solutions such as a soldering head, cartridges for automation, a solder feeder, an automatic tip cleaner or even an automatic cartridge exchange system. We can provide tools for soldering automation which can be used even with the most difficult applications. JBC is a reference of innovation with approximately ¼ of the staff dedicated to the R & D area. Constant innovation allows us to offer different tools that meet customers’ precise specifications. We are present during the whole customer-journey so we can meet and anticipate their needs. Needs and problems can be detected from a visit to a customer or the feedback they provide. And we ourselves also analyze possible problems… We are a team and endeavor to find the best solution, and this makes our company different. The future is in the hand of digital and automated from there several robots are made for the work which is going to produce in several works and then it will be monitored for the purpose only. Lovely to read such innovative articles. Good work ! has truly peaked my interest. I’m going to bookmark your blog and keep checking for new details about once per week.